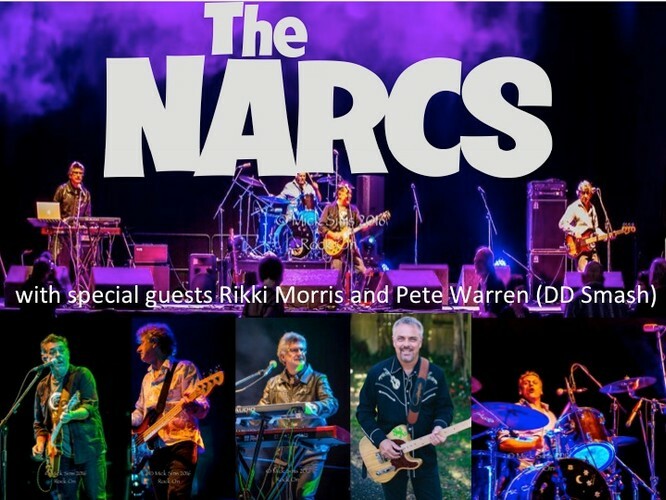 Legendary kiwi band The Narcs (Andy Dickson, Liam Ryan, and Tony Waine) are Back on the Ran Tan with three high-energy rock shows around Aotearoa over summer before heading back into the recording studio. Joined by Pete (Rooda) Warren on drums who is best known for his epic rock drumming in DD Smash - “The biggest Rock Band on the local scene in the early 80’s” and many other famous acts including Pop Mechanix and Lip Service. Also joining the Narcs is Rikki Morris. Rikki will be doing his favourite thing: fronting as a superb singer and frontman. There are not many positions at the coalface of the New Zealand music industry that Rikki Morris has not filled with aplomb.